Recently, I got my hands on the Microsoft Natural Keyboard Pro. This is one of those keyboards with all the nifty buttons up top to make accessing programs easier. 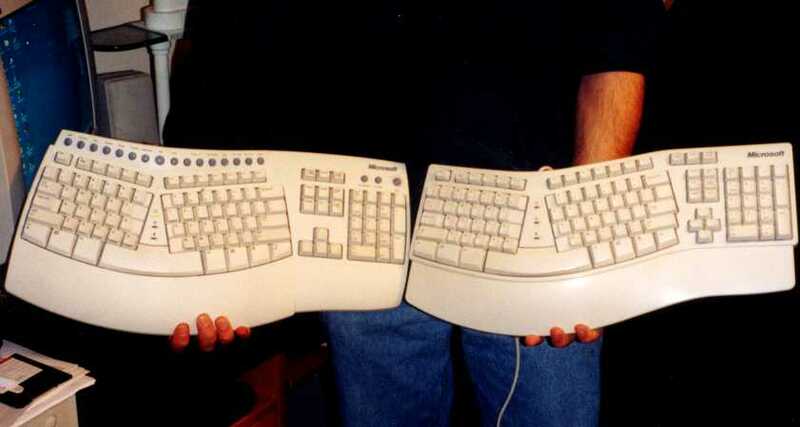 There is not a whole lot of keyboard reviews out there but there should be. I mean, how are you going to know what keyboard to buy if you don't know how any of them perform. In this review I will cover everything: look, feel, features, negative aspects, and installation (keyboard uses software). Let me start out by listing what Microsoft reported as features. Installation was pretty easy. You put the PS/2 connector into the computer and then turn it on. Once it boots, you insert the USB connector. Inserting the USB connector sets off the installation process in Windows. 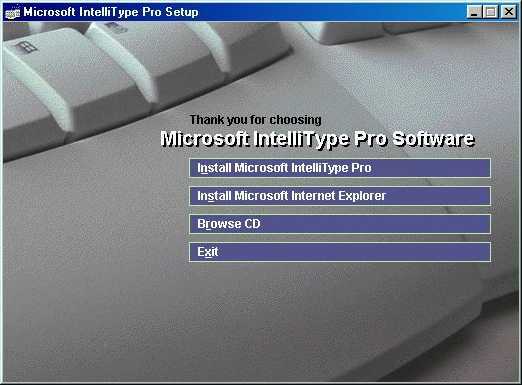 You then insert the CD that is included with the package and it installs the necessary software. Then you will be prompted to restart. Once restarted, you can configure the Hot Keys for personal use and away you go you can type like a mad man. The configuration is a very easy process. This keyboard has a slightly different look and feel from my old natural keyboard which is now two years old. I found that the new keys have less resistance (easier to push), along with having the two sets of keys spread farther out from each other. One thing that has returned to its original form was the arrow keys. 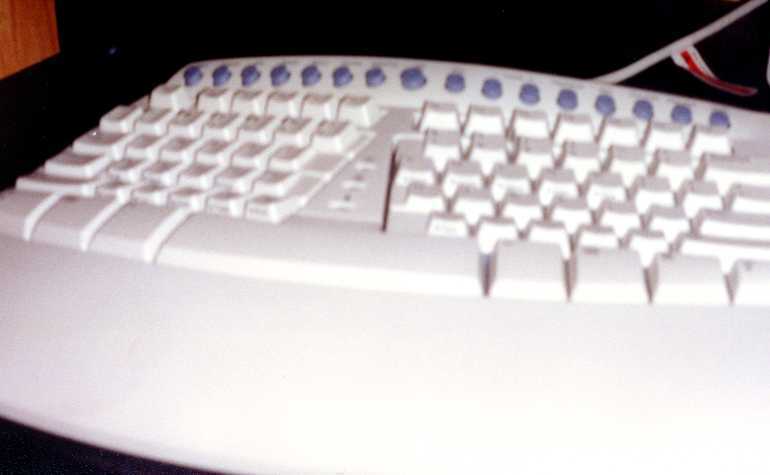 The old Natural Keyboard had the keys in a diamond shape but this one has the normal "old school" upside-down "T" shape, thank you Microsoft. The major change in this keyboard is the use of "hotkeys." These keys basically give you the ability to browse the internet, access your browser, favorites, mail, media players, etc. without using your mouse. There is one main row above the function keys and then a set of three buttons above the number pad. The three buttons all by themselves seem to be more system oriented. One opens My Computer (or Windows Explorer), one opens Calculator, and one can put your computer in sleep mode.